Your Pediatric Dentist in Naperville Says Don’t Waste Your Benefits! As the year hurries to a close and the holiday season approaches, you’re probably busy shopping for gifts for your little ones and making preparations for family gatherings. Therefore, it’s easier to forget about your child’s oral health. 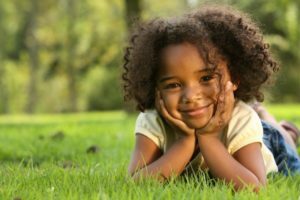 Thankfully, your pediatric dentist in Naperville offers a way to get more from your dental insurance so your child can be as healthy as possible. Comments Off on Your Pediatric Dentist in Naperville Says Don’t Waste Your Benefits! 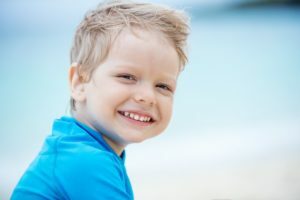 When Should I Look into Orthodontics in Naperville for My Child? Does your child have crooked teeth? You’ve taken so many photos of your loved one’s cute smile that you know exactly how their teeth are positioned. If they need braces, don’t worry! About 75% of all children and teens have some kind of issue with the way their teeth grow in. Orthodontics in Naperville are a great way to correct misaligned smiles, but how do you know when your loved one is at the right age to get their teeth straightened? Keep reading to find out the best time for your children to get braces and why. 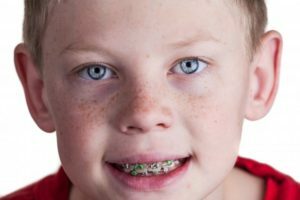 Comments Off on When Should I Look into Orthodontics in Naperville for My Child? Summer was filled with laughing and playing, but it’s almost time for your kids to head back to school. Have you taken care of their back to school list yet? Here’s something that’s not on their list but is a lot more important than binders and notebooks: your child’s oral health. 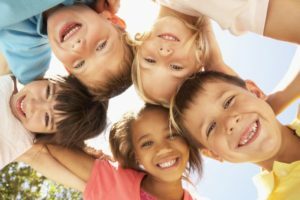 Your pediatric dentist in Naperville has some great tips on how to set your son or daughter up for oral health success and how to keep their teeth clean throughout the school year! You wouldn’t entrust your oral health to just anyone, would you? Before you chose a dentist for yourself, you probably did some thorough research and read patient reviews. Should you be any less careful when you’re choosing a pediatric dentist in Naperville to care for the youngest smiles in your family? No. Indeed, you might even be more careful when you’re searching for a tooth doctor for your child. Our practice is proud to have received over 100 5-star reviews across Google and Facebook. We invite you to take a moment to discover why our patients (and their parents) love us so much. Many patients take their children to general dentists only to find out that it’s very difficult to get them to go back. Often their children will feel uncomfortable or throw a fit whenever it’s time for their biannual checkup. Luckily, that’s where your pediatric dentist in Naperville comes in. If you’re child requires dental care that’s more catered compared to a typical dentist, they’ll have a lot to gain when receiving it from a board-certified pediatric dentist. Here’s what you can expect when you visit. 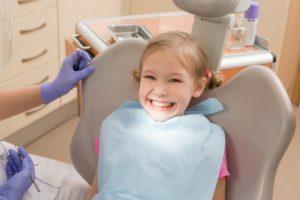 Top 5 Dental Emergencies For Kids From a Pediatric Dentist in Naperville! If you have children, you know that parenting is a series of highs and lows. Along with all of the fun and joy comes a fair bit of worry! Whether it’s chipping a tooth on a piece of hard candy, a bad fall, or a sports injury, the occasional accident is a normal part of childhood. Of course, that doesn’t make it any easier to deal with them when they occur! As a pediatric dentist in Naperville, we’ve treated countless children in emergency situations and we know how alarming it can be. We thought we’d write a blog about five of the most common injuries we see and how you can handle them. Keep reading to learn more! 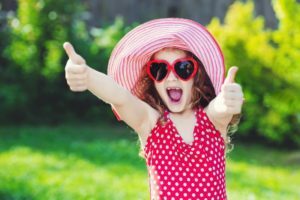 Comments Off on Top 5 Dental Emergencies For Kids From a Pediatric Dentist in Naperville! When you take your kids to the doctor, you want a professional with the best qualifications possible. There shouldn’t be any exceptions when it comes to your child’s oral health. By seeing a dentist for kids in Naperville, you’re getting the most specialized care available from a board-certified dentist pediatric dentist. Not sure what it means to be board-certified? We’ll be going over that and the benefits our dentist can provide you in that role. 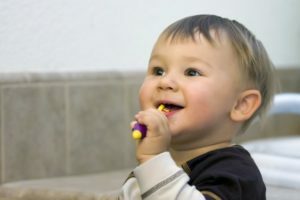 Early development is incredibly important to pay special attention to for dental care, so keep reading to learn about your child’s future dental visits. There’s nothing more precious to you in this world than your children. That’s why you spend most of your time making sure that they have all they need to lead a healthy and productive life. And one of the specific areas where you are really focusing your attention, is with their oral health. You want to make sure that they get the right care and foundation to build on. That’s why your oral care provider for kids in Naperville says that it’s important to choose a board-certified pediatric dentist to care for your children. Learn why this is so important as you continue reading. Your Pediatric Dentist Welcomes You to Tic Tac Tooth! Finding the perfect dentist for your kids is tough. You want someone who is gentle, friendly, knowledgeable, and skilled. 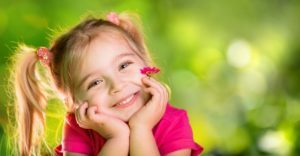 You also want your children to learn to enjoy going to their pediatric dentist in Naperville — after all, making regular visits to a dental professional should become their lifelong habit. At Tic Tac Tooth, we understand the concerns you have when you’re trying to find the perfect place to bring your precious little one for oral healthcare, which is why we strive to provide nothing less than the best service possible. We’re thrilled to be part of the community, and we look forward to meeting your family! Comments Off on Your Pediatric Dentist Welcomes You to Tic Tac Tooth!